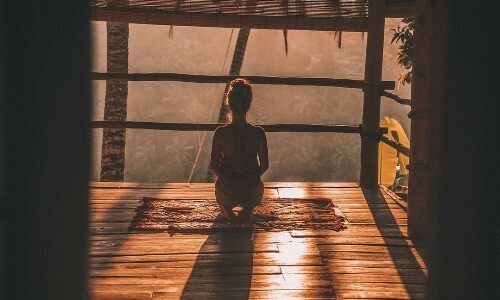 A meditation room is extremely great addition to the home and can really impact on your health and well being and here’s how to create one. When choosing a spot in your home, look for an area that naturally puts you at ease. The minute that you walk through the door of the room, you should feel happy and peaceful. Try to find a room that is located in a quiet area where you won’t have to deal with a lot of excess noise or distractions. The lighting in the room is another important consideration. Typically, the best option is to go with a room with a skylight or lots of windows since natural light has mood-lifting properties. Think about when you plan to meditate during the day. Then, try to find a room that gets plenty of sun during that time of the day. You may even want to choose a place in your home where you could watch the sunset while you meditate, enhancing your experience even further. If your house doesn’t have a room that has these characteristics, you may want to make your meditation space outdoors instead. Is there a spot on your deck or patio where you could meditate without distractions? Do you have a beautiful flower garden where you could spend quiet time surrounded by nature? Wherever you choose, it should be a place that is calming, quiet, and relaxing. Being surrounded by clutter can keep your mind from fully relaxing. Whatever room you choose should be clean and tidy, with very little clutter. As a general rule of thumb, you should try to avoid meditating in an office space. Offices tend to have a lot of clutter, between all of the office furniture, loose papers, computers, and other electronic equipment. Additionally, it can be difficult to relax in a space that is dedicated to work since it may cause your mind to wander to topics like paying the bills or dealing with an upcoming project. If you have a room that you can dedicate to meditating, try removing most of the furniture and knickknacks from the space. Create a comfortable meditation area by bringing in a plush rug, a floor pillow, a padded mat, and a table. Being surrounded by nature soothes the mind and relaxes the body. You can bring this benefit indoors by adding elements that are found in nature to the space where you plan on meditating. One of the core practices of meditation involves aligning your body and your mind with the natural world. If you can’t meditate outdoors, you can always try to bring a bit of nature into your space. For instance, you could bring in a beautiful potted plant, fresh flowers, a collection of seashells that you found at the ocean, or a gurgling water fountain that creates soft, soothing background noise. These small reminders of nature can go a long way toward helping the space feel more relaxing. Most experts strongly recommend adding a water feature to a meditation room. The sound of water moving naturally promotes relaxation according to Outdoor Fountain Pros. There is a reason why it is so relaxing to lay on the beach near the ocean or to sit by a babbling brook. You can tap into the relaxing properties of water by bringing a small fountain into your meditation space. As an added bonus, the sound of the water will help block out any distracting noises, making it easier to stay focused. Although you don’t have to use music to meditate, you may find that it helps you relax. Soft, soothing music can help you center your mind, blocking out the sound of distractions and making it easier to stay focused. This is especially true if you live in an urban environment where there are a lot of outside noises. With music gently playing in the background, it is a lot easier to forget about those distractions and focus your attention inward. Much like the soothing sound of running water, the music creates soft background noise that promotes deeper relaxation. Choose instrumental music that doesn’t have distracting vocals. Some people like classical music. Others prefer the soft sounds of nature. For instance, you can find recordings of birds singing in the wild, the gentle sound of the wind moving through the trees, or the sound of waves crashing on the beach. When selecting a track for your meditation session, make sure that it won’t stop before you are done meditating. 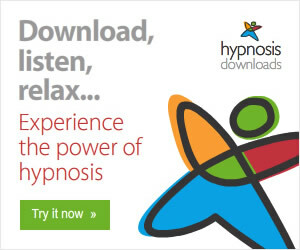 Look for long pieces of music or audio files that will give you plenty of time to relax without being disrupted. Aromatherapy and meditation go hand-in-hand. With the use of essential oils, you can make your meditation room feel even more relaxing. Some essential oils that you may want to try include chamomile, peppermint, and lavender. These oils have naturally soothing properties that promote deeper relaxation. You can also light scented candles or incense to bring beautiful aromas into the space. Choose scents that make you feel relaxed and that put you in a good mood. These days, more and more people are discovering the power of aromatherapy, which accounts for its recent rise in popularity. When used correctly, certain smells can have a number of beneficial effects on the body and the mind, making it a powerful tool to use in your meditation practice. Some aromatherapy studies have shown that certain scents have stress relieving properties. Others can benefit the body in other ways such as helping to relieve pain, boosting immunity, and relaxing the muscles. With all of these benefits, it is easy to see why aromatherapy should be a part of your meditation practice. This article cannot be re-published without permission.